said ARES would remain on standby during the recovery process in the event of a communication failure. Bidulock thanked all operators who "provided countless volunteer hours to support the served agencies with priority and emergency traffic. It has been expressed by AEMA [Alberta Emergency Management Agency] that without our capability to deploy and adapt it would have made this disaster much more difficult to manage." RAC Alberta Director J.T. "Mitch" Mitchell, VE6OH, told ARRL that for a time the emergency operations center in Medicine Hat could only communicate with the Provincial Operations Centre in Edmonton via ham radio. Mitchell told ARRL Sunday that hams had established a cross-band link between Medicine Hat and the provincial UHF link to provide an additional path that did not rely on the Internet, in case HF was unstable. Bidulock said the temporary link would remain in place through recovery. ARRL Headquarters staffers are among those journeying to Germany to represent the League at HAM RADIO 2013 -- the International Exhibition for Radio Amateurs, June 28-30, commonly known simply by its location, Friedrichshafen. Some 200 exhibitors are expected at HAM RADIO 2013 along with upward of 15,000 visitors. This year's HAM RADIO theme is "The Amateur Radio Adventure: DXpedition," and representatives of several DXpeditions will explain for visitors the thrill of operating from remote areas of the world. This is the 38th HAM RADIO event, which is billed as Europe's biggest Amateur Radio convention -- and sometimes as "Europe's Dayton." The ARRL contingent will be on hand to greet international visitors and to network with representatives of other national ham radio societies. The flea market at Friedrichshafen always attracts a crowd. The League also offers DXCC card checking at its booth. In its role as International Secretariat for the International Amateur Radio Union (IARU), the ARRL will host a meeting area for IARU officials and friends at the convention. The Radio Society of Great Britain (RSGB) turns 100 this year. 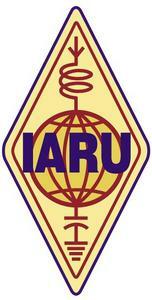 The IARU member-society represents Amateur Radio in the UK. The big day is July 5, Centenary Day, the anniversary of the Society's founding, when a commemorative plaque will be unveiled at Bletchley Park -- famous for its secret World War II code-breaking activities. A Centenary dinner will follow. ARRL President Kay Craigie, N3KN, says the ARRL appreciates the importance of having strong national Amateur Radio societies around the world. "No single Amateur Radio society can mount the kind of advocacy effort necessary at the international level to protect and advance the interests of Amateur Radio," she said. "However, working together under the auspices of the International Amateur Radio Union, the ARRL, the RSGB, and other national societies have been able to achieve positive outcomes for Amateur Radio worldwide. This has been true in the first century of the ARRL and the RSGB and will continue as our two organizations begin a second century of service to Amateur Radio and our members." The RSGB began as the London Wireless Club, established in 1913. By the end of its first year the club boasted more than 150 members. Today the RSGB has some 20,000 members. example -- has been on the air since January 1. The UK's regulatory agency Ofcom has approved special prefixes GV, MV and 2V from July 5 through July 31. Individual licensees must apply to Ofcom for permission to use them. The RSGB's Centenary Convention takes place October 11-13, preceded by a national hamfest in late September. Read more. May 2013 IARUMS Region 1 (Europe) Newsletter reports an over-the-horizon (OTH) radar operating in Iran daily on 10 meters (26 to 30 MHz), transmitting bursts with 307 and 870 sweeps per second, 60 kHz wide and often jumping, covering 700 kHz and more. IARUMS Region 3 (Oceania) volunteers also have reported hearing the OTH interference from Iran. Regulatory agencies in Switzerland and Germany have filed complaints without effect. IARUMS volunteers in Region 1 also report BPSK daily military traffic from Ukraine on 15 meters. German authorities have formally complained. DGØJBJ reports having observed 11 OTH radars on 20 meters, 65 OTH radars on 15 meters and 30 OTH radars on 10 meters -- not including the OTH radars from Iran. IARUMS Region 3 volunteers further report ongoing "illegal use of 10 meters for local short-range communications in a number of Asian countries." Radio Amateurs in IARU Region 2 (the Americas) may report suspected intruders on exclusive Amateur Radio allocations to the ARRL. use. Reply comments are responses to comments already filed in the proceeding, ET Docket 13-49. In comments filed in May on the FCC Notice of Proposed Rule Making (NPRM), the ARRL told the FCC that a near-term decision with respect to adding U-NII devices to the 5.85-5.925 GHz band "would be premature," since no compatibility analysis has been completed. U-NII devices use "wideband digital modulation techniques to provide a wide array of high data rate mobile and fixed communications for individuals, businesses, and institutions," the FCC explained in its NPRM. 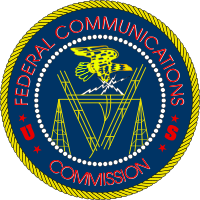 The FCC extended the reply comment deadline in response to requests from two industry groups, IEEE 802 and the Wi-Fi Alliance. Amateur Radio has a longstanding secondary allocation of 5.65-5.925 GHz, with an amateur-satellite uplink band at 5.65-5.67 GHz and a downlink at 5.83-5.85 GHz. A portion of the 902-928 MHz (33 centimeter) band may become less useful to radio amateurs in urban areas as a result of an FCC Order. The FCC has given Progeny LMS, LLC the okay to begin commercial operation of its multilateration location and monitoring service (M-LMS) on approximately 4 megahertz of the M-LMS portions of the band between 919.750 and 927.750 MHz where it holds licenses. "Progeny is deploying a wide-area positioning system to provide more precise location services in areas where Global Positioning System (GPS) and other existing services may not work effectively, particularly indoors and in urban canyons," the FCC said in its Order, released June 6. The FCC opened 33 centimeters to hams on a secondary basis (Amateur Radio is secondary on all bands above 420 MHz) in 1985, provided hams did not interfere with the automatic vehicle monitoring (AVM) service, subsequently expanded into the M-LMS. While M-LMS operations at least on paper have a higher priority than unlicensed Part 15 devices on the band, Progeny had to demonstrate through field testing that its network would not cause "unacceptable levels of interference" to such Part 15 devices as cordless telephones and baby monitors. The FCC said this was a result of its policy to promote "co-existence" in the band, while not elevating Part 15 devices to co-equal status with M-LMS systems. In his "It Seems to Us" editorial in the June 2012 issue of QST, ARRL CEO David Sumner, K1ZZ, pointed out that effectively setting unlicensed services such as Part 15 at a higher priority than licensed services "is the reverse of the usual situation in which Part 15 devices are at the bottom of the pecking order." Federal (military) radiolocation and ISM Part 18 devices are at the top of the 902-928 MHz food chain. Sumner predicted in his editorial that operations such as Progeny's "will pose some new challenges for amateurs in a band that is already impacted by other users." On the other hand, he said, sharing bands with the military has helped Amateur Radio to stave off spectrum grabs from commercial interests. Logbook of The World (LoTW) makes it much easier for users to upload logs to the worldwide contact repository. TQSL v. 1.14.1 may be downloaded from the LoTW page. More than a half-billion contact records have been posted in LoTW since it began operation in 2003, resulting in some 72 million contact confirmations. prompting users to download and install. Among other new features, any QSOs that have been successfully uploaded to LoTW or saved to a file are registered in a database, and exact duplicates are automatically stripped from future logs (this feature may be disabled). Upgrading to version 1.14 is not mandatory. Full information on the advantages of upgrading is available on the LoTW website. 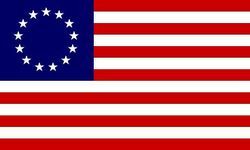 The annual 13 Colonies Special Event will take place during the first week of July, with participating 13 colonies' stations on the air from 1300 UTC July 1 until 0400 UTC July 6. Event sponsors say at least two special event stations will operate from each colony state. The theme for 2014 is "Banners of the Revolution," and the certificate -- available to all participants regardless of the number of stations worked -- will reflect that theme. Those working all 13 colonies qualify for a "Clean Sweep" certificate designation, and a special endorsement will be attached for stations working WM3PEN in Philadelphia. The suggested exchange is call sign, name, signal report and state/province/country. The event's sponsors report that more than 62,000 contacts were logged in last year's 13 Colonies Special Event. More information is available on the web. Mountain-topping radio amateurs in California are claiming a new world distance record on the 77 to 81 GHz band -- also known as "E band" -- a band many hams likely are unaware of and whose future is unclear. The claimed record was set June 13 between KF6KVG on a peak just east of San Jose and AD6IW in Kings Canyon National Park to the east-southeast. "We achieved a distance of 252.49 km from Mt Hamilton (CM97di) to Kings Canyon National Park (DM06ms)," Goran Popovic, AD6IW, announced on the 50 MHz & Up Group reflector. "We made two-way contact on FM and SSB with strong signals at both ends." Popovic was on the Kings Canyon end of the contact. The current E band record is 228 km, set in Germany between DL2AM and DL2GWZ. According to ARRL CEO David Sumner, K1ZZ, this amateur band was first allocated internationally in 1979 as 75.5-81 GHz, with 75.5-76 GHz primary and the remainder secondary. When allocations below 76 GHz were realigned at WRC 2000, 75.5-76 GHz was deleted, 81-81.5 GHz was added as secondary, and the primary allocation was shifted to 77.5-78 GHz although only 77-81 GHz is available currently to amateurs in the US. Sumner says the band 77.5-78 GHz is under consideration at WRC 2015 for an allocation for automotive short-range radar, leaving the fate of the amateur primary allocation uncertain. ARRL Life Member and Public Relations Committee Member Don Carlson, KQ6FM, of Sparks, Nevada, died June 21, of complications related to pancreatic cancer. He was 60. California radio stations, where he usually hosted oldies and jazz shows. He also did commercial voice-over work for radio and television, including for ARRL national radio and TV public service announcements. His voice occasionally was heard on Amateur Radio Newsline, the weekly ham radio news webcast. Carlson served as District Emergency Coordinator for Nevada's Northwest District, as well as Assistant Section Emergency Coordinator, Section Emergency Coordinator, Public Information Coordinator and Assistant Section Manager. In California he had served as Santa Clara Valley SEC and as an Assistant Section Manager, and as District Emergency Coordinator for Monterey County. In 2010 the ARRL Pacific Division recognized his contributions to Amateur Radio by naming him "Ham of the Year" at Pacificon. Carlson also served on the board of directors for EMCOMMWEST, an annual ARRL specialty convention held in Reno. A celebration of life for Don Carlson will be held June 29, 10 AM, at Sierra Bible Church, 3195 Everett Dr, Reno. The family requests that cards be mailed to Sierra Bible Church and memorial donations made to a church or other charitable donation "to help someone less fortunate than yourself." Worldwide news media for several days have been proclaiming the impending demise of the telegram in India next month. 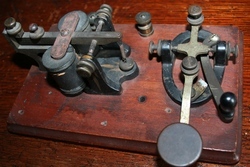 Unfortunately various reporters and news outlets seem to have conflated the words "telegram" and "telegraph," with the result that many Morse code enthusiasts in the ham radio community have begun lamenting the occasion as the end of an era and perhaps even as another nail in CW's coffin. Here's what's really happening. Citing mounting financial losses, India's state-owned telecommunications outfit, Bharat Sanchar Nigam Limited (BSNL), is ending its telegram service in mid-July, but other telegram services in India will continue. Just the state-run service is calling it quits. e-mail. Apparently for nostalgia's sake, however, when the last BSNL telegram in India is sent on July 15, the service will employ technology similar to that first used by the service when it began operation in 1850. British inventor and physician William O'Shaughnessy introduced telegram service in India that year, but he used a telegraphy code different from Morse's to send the message.